A Canadian boat trip turned into a spectacular display of the raw majesty of the ocean when three whales breached at the same time - all captured on video. The video filmed off the coast of Nova Scotia by Edmond Giroux was shared by Ocean Explorations Zodiac Whale Cruises, where a lucky group of sea-faring tourists got the chance to see a once-in-a-lifetime opportunity. The three breaches were perfectly synchronised, as if the humpback whales communicated to each other to perform the stunt just for the boat of onlookers. Even the guide knew what was coming, heard in the video telling the tourists to get ready for a triple breach. There has been some comments about the boating company disturbing the whales, which the company responded to. "There have been several comments about us disturbing the whales, 'waking them up', driving up to them etc. None are true. The whales surfaced after a dive and swam and/or drifted over to us. One 'interacted' with us before joining the other two 'logging' for many minutes before the 'take off'. We did not (ever) approach the whales or 'wake them up'," writes Ocean Explorations on the Facebook post. This coastline has an abundance of whales, and Nova Scotia's whale watching time is from spring to late fall. Besides the humpback, other whales that frequent this coastline include blue, fin, minke, pilot and sei whales. What about whale season in South Africa? But you don't have to travel all the way to Canada to see whales. South Africa's coastline is also popular with these giants of the sea, and springtime is the best whale watching season to see if you can spot maybe your own triple beach. On the Cape West Coast, excellent sightings of southern rights can be enjoyed all the way from Strandfontein to Lambert's Bay, Elands Bay, St Helena Bay, Saldanha Bay and Yzerfontein, just north of Cape Town. Even in the bays of Cape Town southern right whales are frequently spotted. If you’re one of the lucky few, you may even see them from the road along the False Bay coast, or on the scenic coastal Victoria Road. If you don’t want to rely on luck, book a trip with the pros. 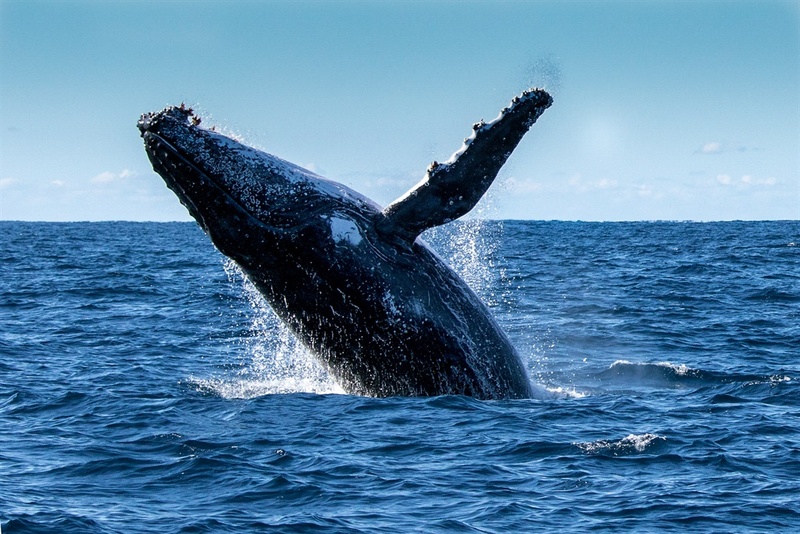 The most popular whale watching destination in SA, Hermanus welcomes local and international visitors to its shores to get a glimpse of the migrating creatures while taking in the natural beauty of the coastal town. The Hermanus Whale Festival, that started 26 years ago, allows visitors to celebrate the migration of Southern Right Whales and other marine wildlife with ocean-themed activities and exhibitions, emphasising education and environmentally responsible adventures and activities. There is real commercial value behind the incredibly popular Hermanus whale season. The whales really do come up close to the shore here, and they're quite amiable in disposition towards people it would seem. If you’re after the Killers, Mossel Bay might be a good place to start looking. Hiking the St Blaize Trail will give you a good view of the bay below, where you can spot southern rights, humpbacks, Bryde’s whales or the deadly killer whales feeding on seals on the island in the bay. If you want to go out to sea and get really close, book a trip with the boat operators in Plettenberg Bay, further along the Garden Route. 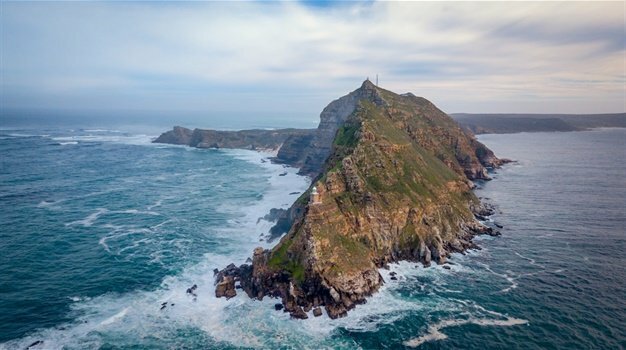 From Cape St Francis onwards, the cliff-lined coast gives some of the best vantage points from where to see Humpbacks, Bryde's whales, and further north towards Port St Johns, even sperm whales. Dolphins are also abundant in this area. You can spot them from land, or opt for a whale watching boat ride. This is humpback whale territory, which stretches as far as Cape Vidal. The whales always stay in the perimeters of the coastline. From mid-May to mid-September, they move more north to breed off the Mozambique coast, and from September to December they return, on route to the nutrient-rich waters of Antarctica. 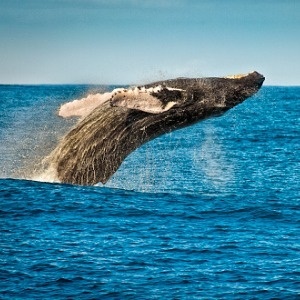 During the months of May to December Humpback whales and Southern Right Whales arrive along the Eastern Cape coast. One of the best parts of whale watching along the Eastern Cape coast is that you don’t need a boat ride into the ocean to see the whales – they are clearly visible with just a pair of binoculars so get out there and enjoy this wonder of nature! Humpbacks, Bryde's whales, and even sperm whales can be spotted along the eastern coastal region of the Wild Coast. With the warm waters reaching this part of the Eastern Cape and KwaZulu-Natal coast, it’s no surprise that dolphins are also regularly seen here too.